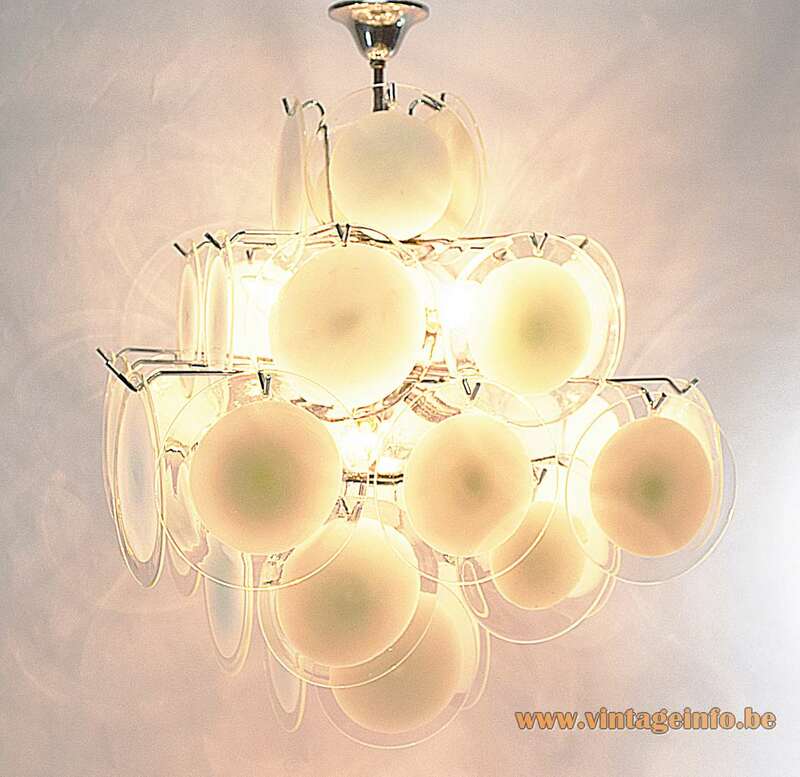 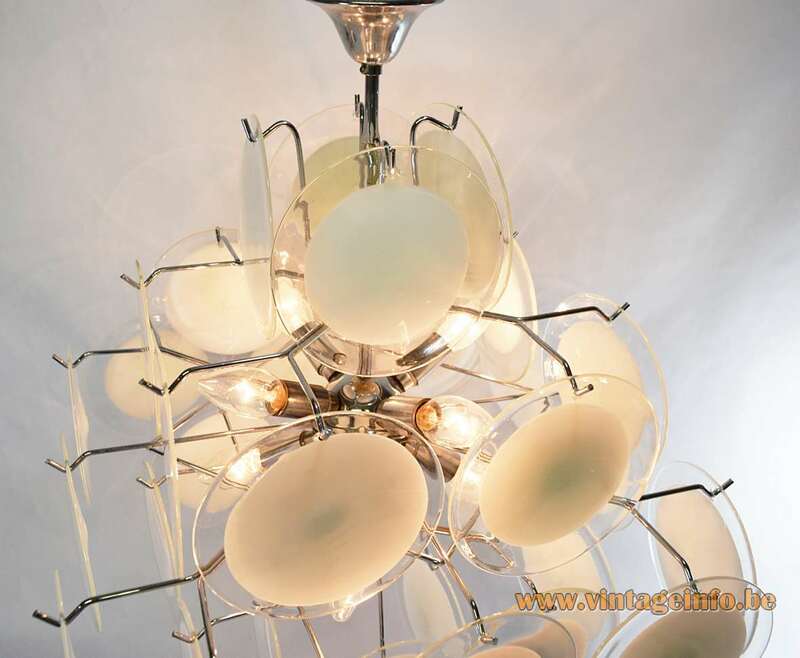 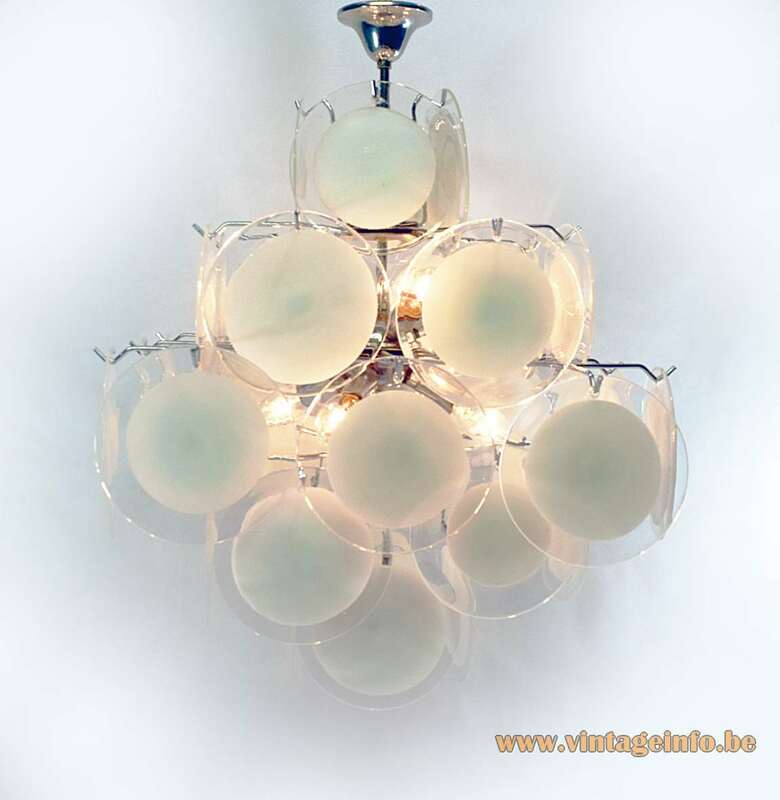 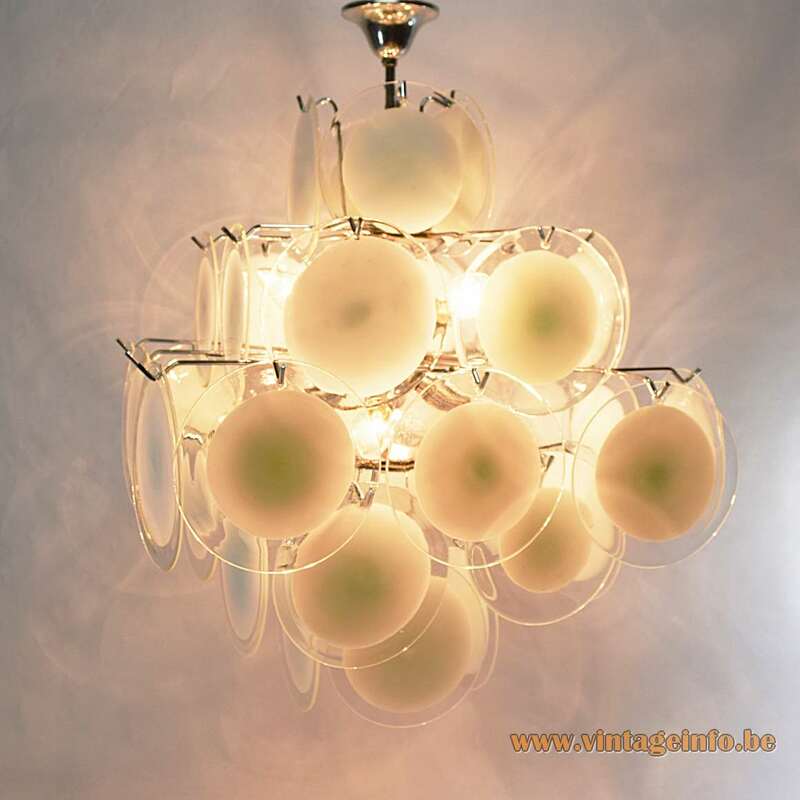 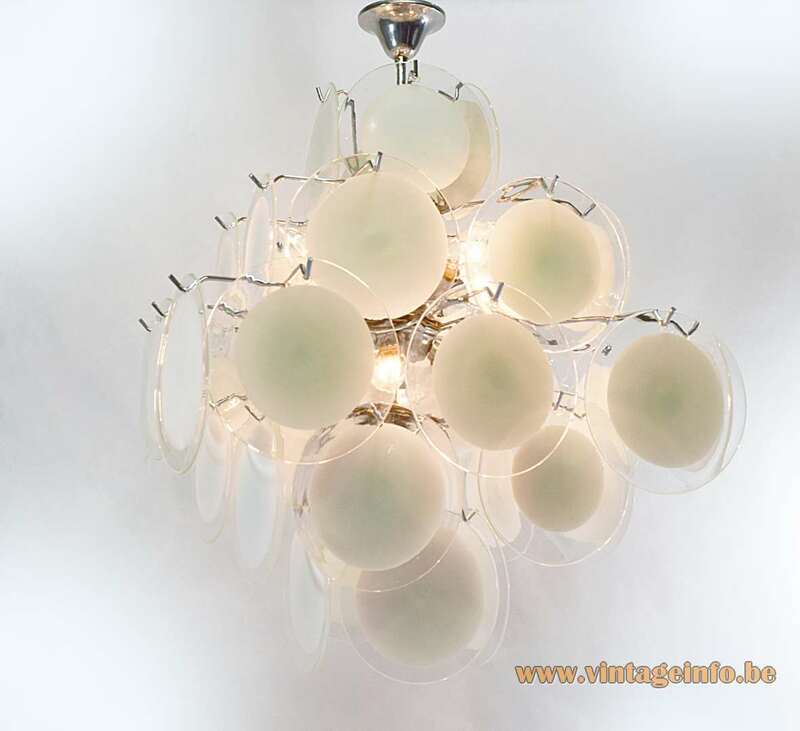 Materials: 36 Murano hand blown white and translucent crystal glass discs. 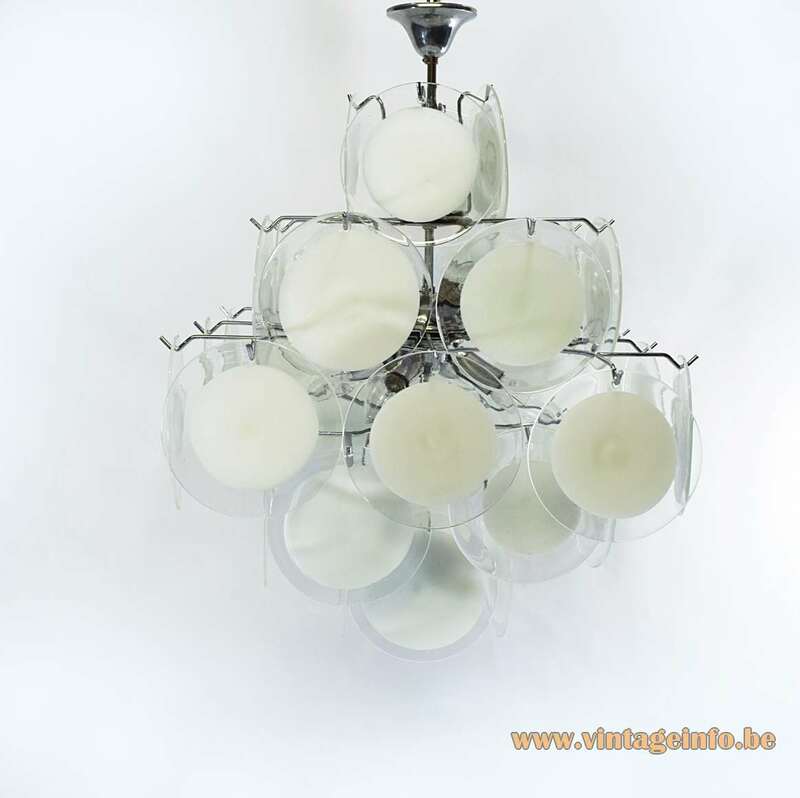 Square chromed metal frame, Bakelite sockets. 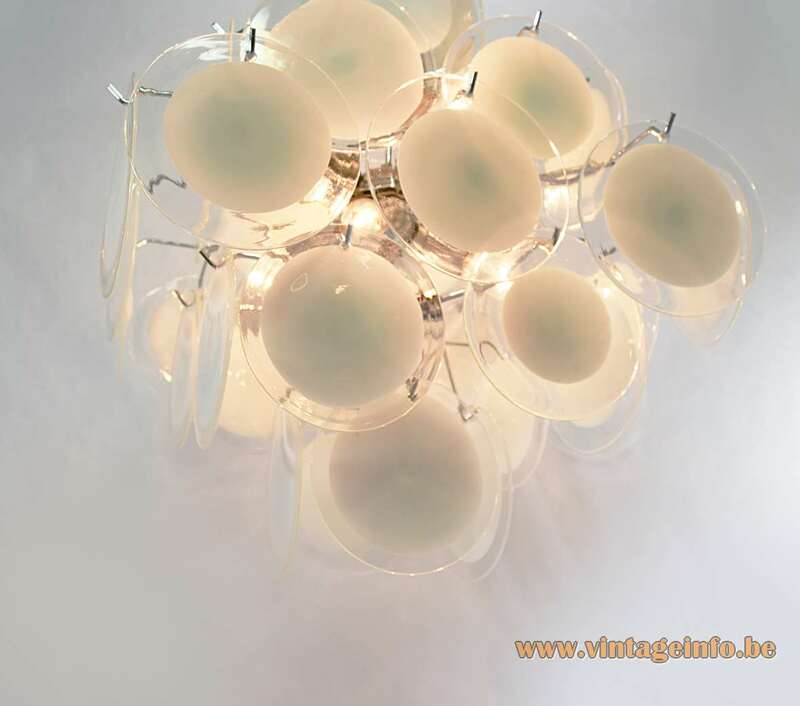 Electricity: 8 bulbs E14, 8 x 60 watt maximum, 110/220 volt.